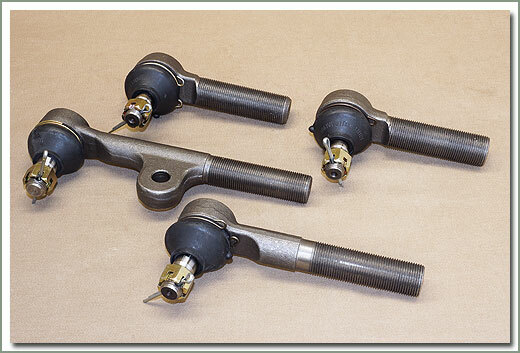 The 70 Series have four replaceable tie rod assemblies. 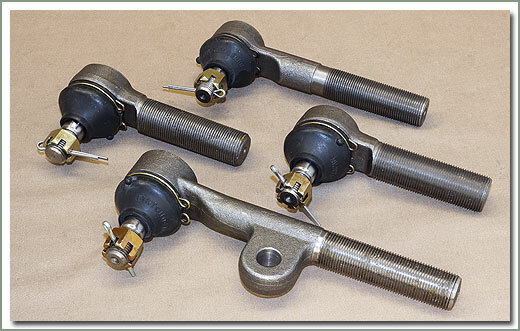 With the use of lift kits, larger and wider (than stock) rims and tires, the tie rod ends are a very common wear area. 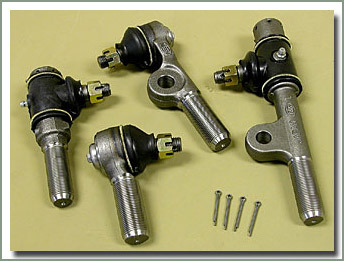 The construction of the tie rod ends/drag link as shown in diagrams, shows a spring loaded ball and socket. 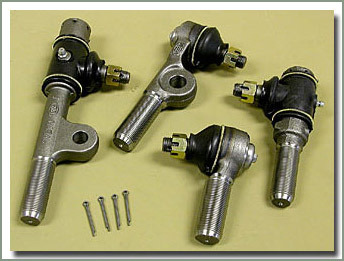 As the spring starts to lose it's tension, the ball becomes loose in the socket, thus accelerating the wear factor. Bad boots, let the dirt and grime in and the grease out, shortening the life of the tie rod end. 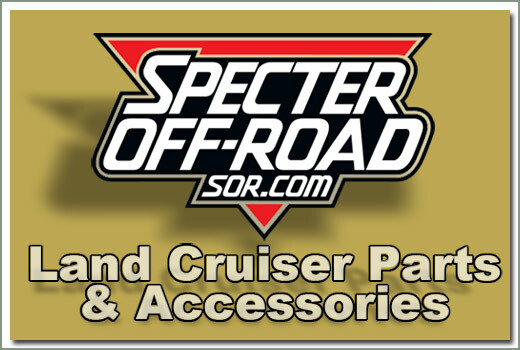 So the replacement of the tie rod end becomes necessary.Specter Off-Road's replacement tie rod ends are heat treated and come complete with OEM style boots, rings, nut zerk fitting and cotter pin.